Compact 4000mAh power bank with a soft touch rubberised coating which laser engraves to a stunning silver mirror finish. It is ideal for charging mobile phones, tablets, cameras, GPS, Bluetooth speakers and headphones etc. 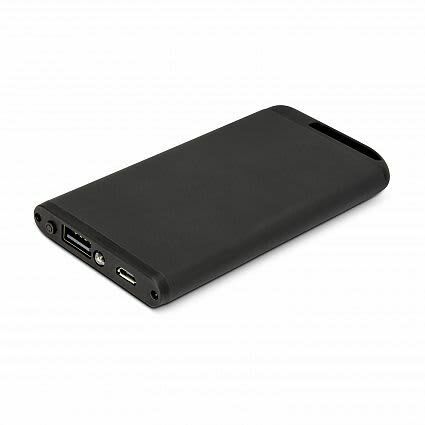 The Theta Power Bank is easily recharged from any USB port or a mains adaptor. 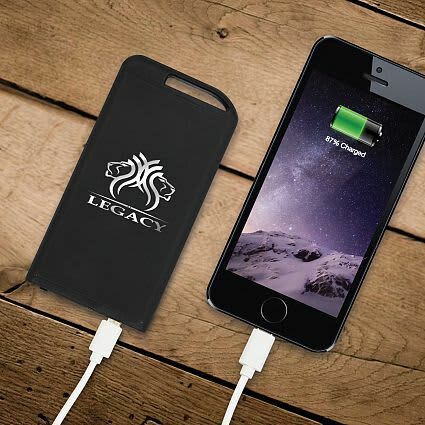 Recharging time is 4-5 hours and the lithium polymer battery can be recharged over 500 times. It is presented in matt Black box along with a micro USB cable. Laser Engraving: 90mm x 45mm.